Due to many request to add crews I have started this site for other crews of the 448th and/or other groups of the military service. The 448th was activated 1 May 1943 at Gowen Field, Idaho where initial training was conducted. The unit then moved to Wendover Field, Utah on 4 July 1943 for the second phase of training, and final training was conducted at Sioux City AAB, Iowa from 16 September to early November 1943. The ground unit went to Camp Shanks, NY, and sailed on the Queen Elizabeth on the 23rd of November 1943, and arrived at Clyde on the 29th November 1943.Crew 48 along with several other crews that had not been assigned an aircraft also went on the Queen Elizabeth with Bob Hope, Bing Crosby and many other USO personnel on thier way to England to entertain the troops. 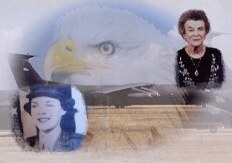 The aircraft left Sioux City on 3 November 1943 for Herrington field in Kansas. The aircraft flew for The United Kingdom via the Southern ferry route from Puerto Rico, Trinidad, Belem, Dakar, and Marrakesh. Three aircraft were lost en route. The 448th was redeployed to the US June/July 1945. The first of the aircraft departed the United Kingdom in mid-June 1945. The ground echelon sailed from Greenock on the Queen Mary on 6 July 1945, arriving in New York on 11 July 1945. Personnel had 30 days R and R. Group was established at Sioux Falls AAFd, SD where the Group was trained as a B-29 unit. On 6 May 1946 the 715 Bomb Squadron was re-assigned to the 509th Bomb Group and was inactivated in 1965. 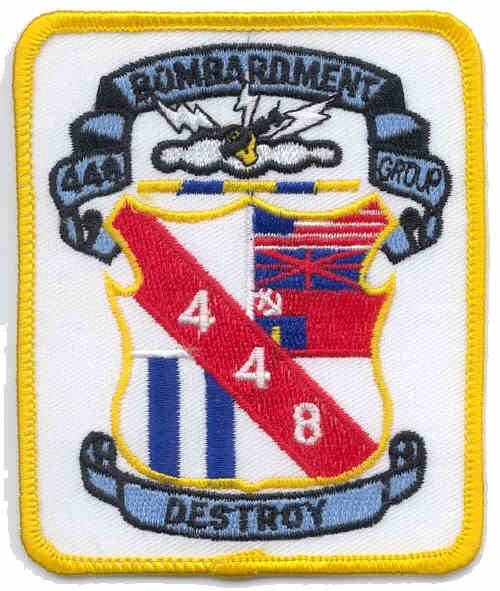 The 448 Bomb Group was inactivated on 4 August 1946. Welcome to Harold's W.W.II Tribute! This page is dedicated to those who served and especially those who gave the ultimate sacrifice for their Country.